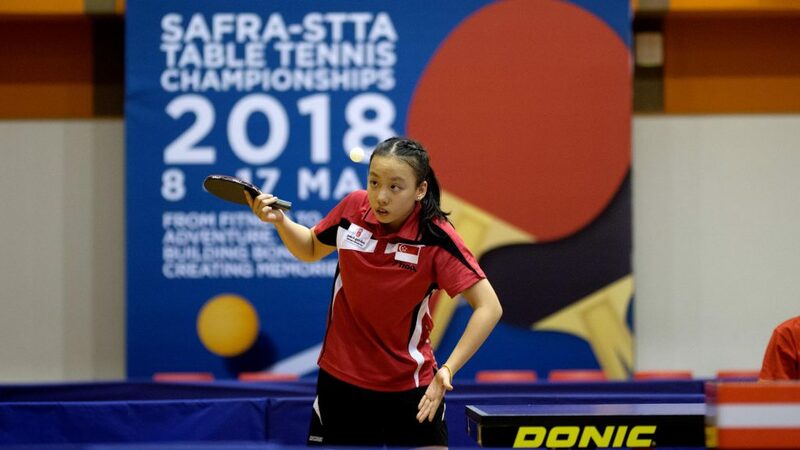 Small in geographical size but when table tennis is the subject in question, large in numbers; there was no shortage of entries for a tournament recently organised by the Singapore Table Tennis Association (STTA). No less than 840 players competed in the recent SAFRA-STTA Championships 2018, an annual event; play commencing at the Toa Payoh centre on Thursday 8th March. Overall, ten events were held, ranging from under 9 years to those who compete in the veteran age group; once again the phrase “table tennis, the sport for all” rang loud and true. Although for those in the more senior years, thoughts of competing in such events as the Commonwealth Games may be just dreamland but what about the younger players in action. 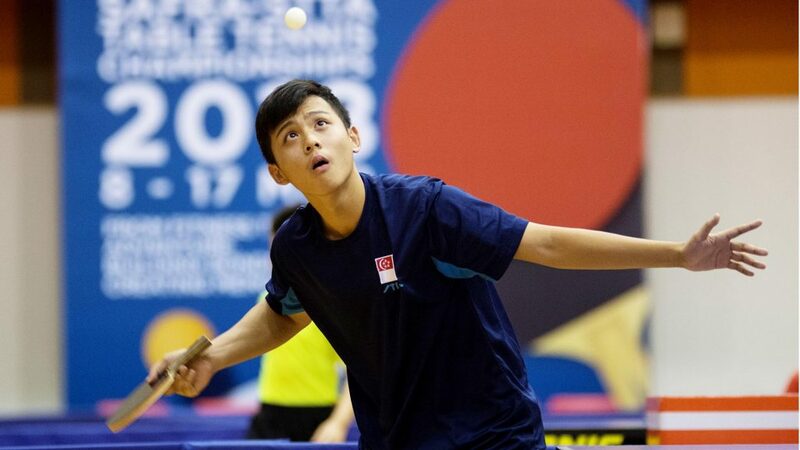 I wonder, as the likes of Gao Ning, Pang Xue Jie, Feng Tianwei and Yu Meng Yu prepare to travel to the Gold Coast in Australia for the multi-sport spectacular, how many of the younger players present at this year’s SAFRA-STTA Championships will be on duty four years’ hence when the English city of Birmingham plays host. It is food for thought. An outstandingly success tournament appreciated by all, especially by the local dignitaries. Present for the occasion were Ms Ellen Lee Geck Hoon PBM (President of Singapore Table Tennis Association), Mr K. Surindranath (Member SAFRA Toa Payoh Executive Committee), Ms Wong Hui Leng, (Chief Executive Officer – Singapore Table Tennis Association) and Mr Bernard Tan Leng Joo (Vice Chair of the SAFRA Table Tennis Committee). SAFRA derives its names from the Singapore Armed Forces Recreation Association; the organisation was formed several years ago as a recreation club for members of the Singapore Armed Forces.